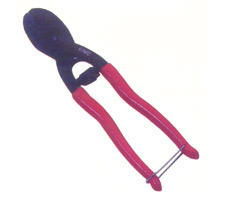 We are well recognized in the market for successfully handling the demands of Mini bolt Cutters. These are made available in sturdy construction standards and match up best with the specific end application demands these are put in. The range offered by us includes HO-118 in length of 200mm (8").